SKU: 852659765041. 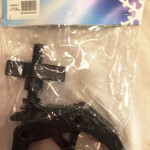 Category: Cables and Accessories. 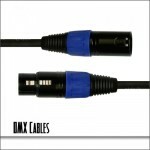 DMX cable and microphone cable are NOT the same thing. DMX cable is specially engineered to transmit data signal while Mic cable is specially engineered to transmit audio signal. 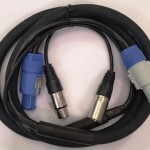 Mic cable will sometimes work in place of DMX cable but… MIC cables are not a reliable alternative. Using audio cable to transmit a data signal could result in unexpected behavior from your lights. 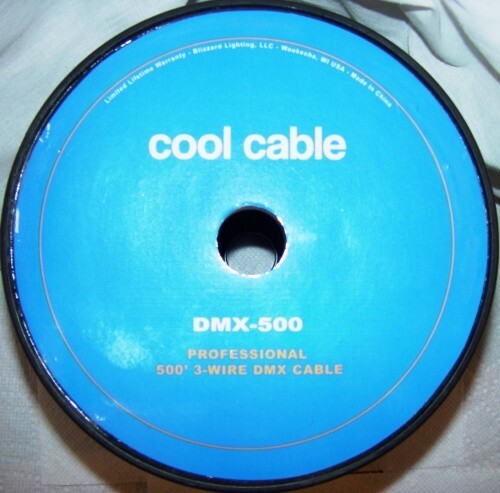 If someone is selling cable that claims it is both microphone & DMX cable…That’s not correct! There is no “single” cable designed for both audio and data signals. Be the first to review “Blizzard Lighting Cool Cable DMX-500 / 500′ Reel of Professional 3-Wire DMX Cable” Click here to cancel reply.